Travelling through Bangladesh, you soon become aware of the fluidity of nature, its ultimate omnipotence and perfection, and the comparatively contorted predicaments of human aggregation. During the dry season, Dhaka feels like a dust bowl. Regional weather fluctuations, relentless traffic, open air burning, and discharges from the surrounding brick kilns are steady reminders of what it means to impose ourselves on our environments. The wet season provides relief from the June heat, washing away the accumulated debris, and in the process houses and streets are waterlogged despite their drainage systems. The southwest monsoon flows across the Bay of Bengal, powered by rain-bearing winds from the Indian Ocean onto the landmass that subsequently reverse their direction to the northeast in October. Agriculture is heavily dependent on these rains, and any delays severely affect the surrounding economies, as evidenced in the numerous droughts over the ages. And yet nature?s fertility is ultimately forgiving, and persevering farmers are eventually granted their harvests. Major flooding is a recurring reality and yet water is the very lifeblood of Bangladesh. Rivers intersect across the entire country, forming the largest delta on the planet, at the confluence of the Ganges (Padma), Brahmaputra (Jamuna), and Meghna Rivers and their countless tributaries. Bangladeshis have a unique relationship with water, and their sensibilities to its bounty and destruction are a tangible part of the national psyche. The Bangla axiom ?paanir opor naam jibon? (water is another name for life) aptly demonstrates this psychological architecture and the determinative influences of the more than fifty trans-boundary rivers between India and Myanmar, with all their hydrologic, social, economic, and political ramifications. Little wonder then that water bodies are a constant architectural feature for Rafiq Azam. And his desire to ?revitalise nostalgia? is as ubiquitous in his designs as the water itself in Bangladesh. 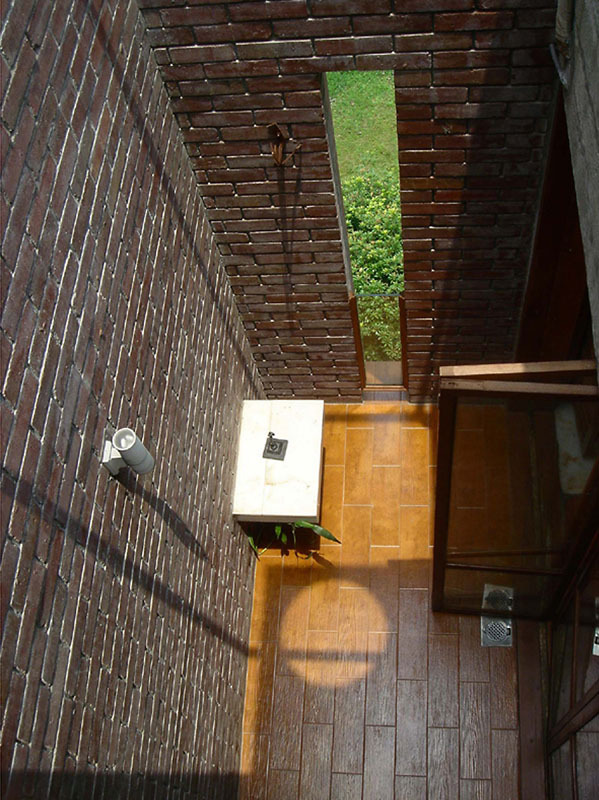 Insistently perched on alluvial soils, Bangladesh?s ancient heritage provides true bearings for this architect. The country boasts some of the most significant archaeological sites on the Subcontinent. Mahasthangarh in Bogra, one of the earliest urban sites, dates back to the third century BCE. And there are stunning examples of Buddhist, Hindu, and Muslim settlements and monuments throughout, such as the magnificent fifteenth-century mosque city of Bagerhat founded by the Turkish general Ulugh Khan Jahan in Khulna, southwest of the country, with its renowned sixty-pillar Shait Gambuj Mosque; the sixteenth-century Mathurapur Deuel (High Mound) in Faridpur; the late medieval Kantaji Hindu Temple in Dinajpur; and the multiple-domed Chandanpura Mosjid in old Chittagong, to name a few. As outsiders, we hear and see little of the creativity, innovation, and resourcefulness that once made the great Bengal and today animates Bangladesh ? the region?s rich literary and cultural legacies, its political, intellectual, and revolutionary contributions to South Asia, its role in the Indian independence movement, the emergence of the Bengali language movement, and the ultimate liberation of Bangladesh. And it is not until you immerse yourself in the ebb and flow of its chaotic streets that you realise the relentless dynamism of its people. Naturally, Rafiq Azam has been inspired by the legendary Muzharul Islam ? 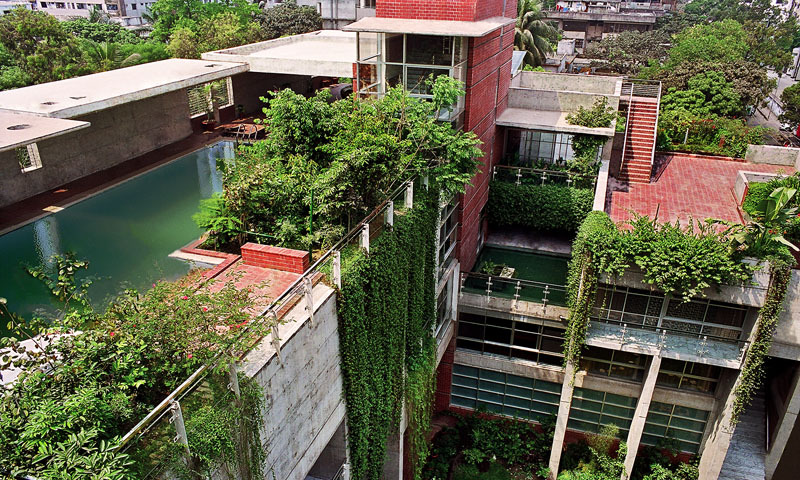 father of modernist architecture in Bangladesh and founder of an ?essentialist? Bengali paradigm ? whose work aimed to reconcile the dichotomy of city and countryside; creating liberated, indigenous notions of urbanity, while at the same time engaging in a ?world dialogue?. A true visionary, M. Islam wanted to blend cultural particularity with the humanist notion of a ?world village?, and argued that a city?s ultimate aim is to integrate its surrounding rural areas; that is, traditional relationships with nature and ancient knowledge (still alive in some villages of Bangladesh) should be continued in the cities. Rafiq Azam?s own aesthetic philosophy is in collaboration, not competition, with the local realities. He has also insisted on architecture?s role in the bigger picture, and its responsibilities to its own communities. His ?green? thinking shows the interplay between artistic autonomy and social engagement, and he nurtures an obstinate but calm optimism that strives to turn the negatives into positives. Azam courageously aims to produce the kind of architecture that provides intuitive responses and bespoke solutions to local conditions in a place fraught with challenges; ideas led by his artistry and translated by ordinary workers whom he elevates to craftsmen; buildings that reflect personal stories with transversal meanings; and designs and technologies that take instruction from the fields of semiotics and biology. Based on that celebrated affirmation by the great Frank Lloyd Wright (1867?1959) ? ?I know that architecture is life; or at least it is life itself taking form and therefore it is the truest record of life as it was lived in the world yesterday, as it is lived today or ever will be lived? ? the basic principles of Bangladeshi architectural practice today, according to Rafiq Azam, must necessarily feed on the wisdoms of three extraordinary Bengali thinkers from the past: Lalon Shah (1774?1890), Jagadish Chandra Bose (1858?1937), and Rabindranath Tagore (1861?1941). For Azam these three leading lights inform what is fundamental to architecture in Bangladesh and its requisite interventions with nature. Architecture is therefore seen as directly evolving from a true, organic connection between what is man-made and what is natural. As a Baul saint and social reformer, Lalon was interested in the dynamic essence of life ? its comings and goings, its natural cycles and recycles, its absolute and infinite expressions ? free from the distinctions and limitations of religious, social and identity politics, and worldly interpretations. It is said that Lalon was abandoned as a child and found floating on a river. For Rafiq Azam such a visualisation holds enormous poetic resonance: a river, both real and metaphorical, carries an artist?s soul through life and beyond; an artist, across all mediums, becomes its messenger and the art itself an expression of this life; a building forms a natural habitat and its inhabitants exchange its energy; the human body is a temporary vehicle and its spirit travels along that same river. Lalon?s syncretic positioning and exquisite descriptions, still poorly understood in English, capture the very dynamics of this land and its people, from which Azam takes much heart. Additionally, the notion of embedded life within inanimate objects can be traced back to the writings of Bose, a Bengali physicist and botanist who dared to argue that a tree can ?feel pain? and respond to affection. His demonstrations of the electrical nature of various stimuli in plants and the corresponding changes in their cell membrane potential recognised, far ahead of his time, the invisible threads of a unified physical world, which included pioneering radio waves and microwave optics. Combining these intuitions through literature, music, and the visual arts, Nobel laureate Rabindranath Tagore also articulated that elegant reconciliation of form and meaning which still motivates Rafiq Azam to conceive his architecture from reading poetry and painting watercolours. As the world?s centre of economic gravity steadily moves further east and south, emerging markets and the new middle classes are beginning to drive the global recovery in ways few would have imagined earlier. These shifting horizons are now quite clear, and Nobel Prize-winning economist Joseph Stiglitz foretells an Asia that will rebalance if not draw to a close the Western-centric mindset. This presupposes fresh ideas and ways of seeing from new and hitherto overlooked, or indeed negatively branded, realities which may now leapfrog the technology and infrastructure that has served the West so well. Our traditional notions of what constitutes art and design, and our very hypotheses on world culture are being reworked. This ground-breaking architecture monograph from Bangladesh is a shining discovery from what fellow Bangladeshi activist and photographer Shahidul Alam calls the ?majority world? and is testimony to the professional excellence that exists in underrepresented countries. Numerous art media readily lend themselves to a political consciousness, and they can do much more than simply inspire. Indeed, history shows they can be powerful instruments for social education and development. The political significance and potential of architecture, our most public and negotiated of arts, appear quite obvious, but what is less evident is the complex decision making by designers on a daily basis. Of course, the challenge to invigorate architecture based on regional and local values and specific geography in the face of globalisation, financial imperatives, and frenetic construction is as old as architecture itself. 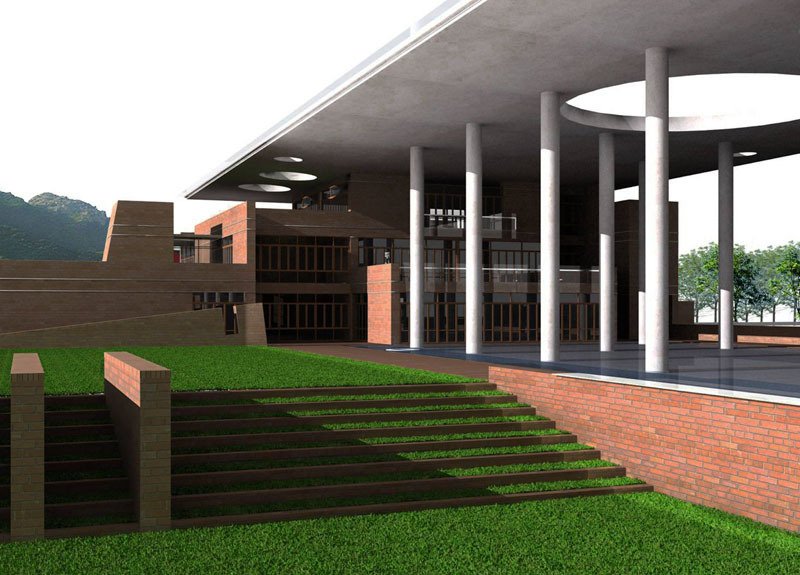 But if the architect?s own vision is progressive, can architecture be an actual vehicle for positive change? Is there really such a thing as an ?architecture of resistance? to establish new ways of living, especially under adversarial conditions? Personal engagement seems to offer hope and Rafiq Azam is also a devoted teacher and lecturer, encouraging others wherever he goes. Considering the socioeconomic disparities and city planning conditions of Dhaka, Azam?s architectural vocabulary is kept simple. His approach does not so much incorporate or add nature and tradition, as to harness and interact with their beauty and potential. In a practical way, he wants no less than to increase the emotional value of his buildings to make people feel like participating in those individual and collective habits that are nourishing to both mind and body. Over the last two years I have been talking at length with Rafiq Azam, visiting his projects throughout Dhaka, sharing tea on the rooftops of the old city, meeting his family and friends, and even seeing the architecture biennale in Venice together. I realised early on that his creative focus and dedication are a personal creed and not a slogan. 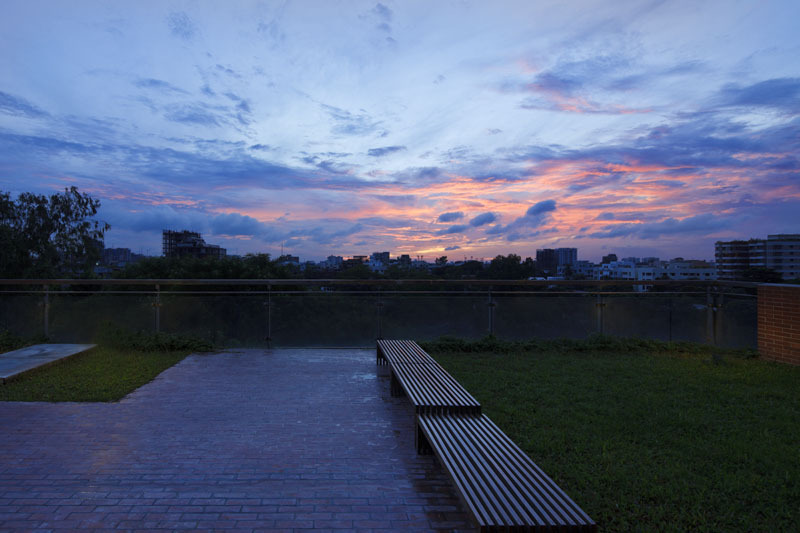 My earliest sensations were confirmed when I first entered the SA Residence in Gulshan, an affluent neighbourhood of Dhaka, which was close to completion at the time and since received the ?Residential Building of the Year? (multiple occupancy) at the Emirates Glass LEAF Awards (2012) in London. Its interlocking concrete design and cascading vegetation are truly remarkable. Daylight enters through huge oculi in the roof, and the windows and cantilevered staircases, wood panelling, and balustrades all play with the shadows. This home not only invites Mother Nature, but insists on a healthier style of living, a more sensory experience, where, as the architect advises, you can ?just let it all be?. Its layered spaces, enclosed in a natural island overlooking an internal pond and lush greenery, are not merely beautiful, they actually facilitate meditation ? leading us into the ?nothingness? ? so you quite literally leave your exhaustion at the front door and become instantly oblivious to the cars, CNGs and rickshaws outside, snaking their way till all hours, and eventually spilling into the sea of traffic that separates Gulshan from Dhanmondi, on the other side of the city. 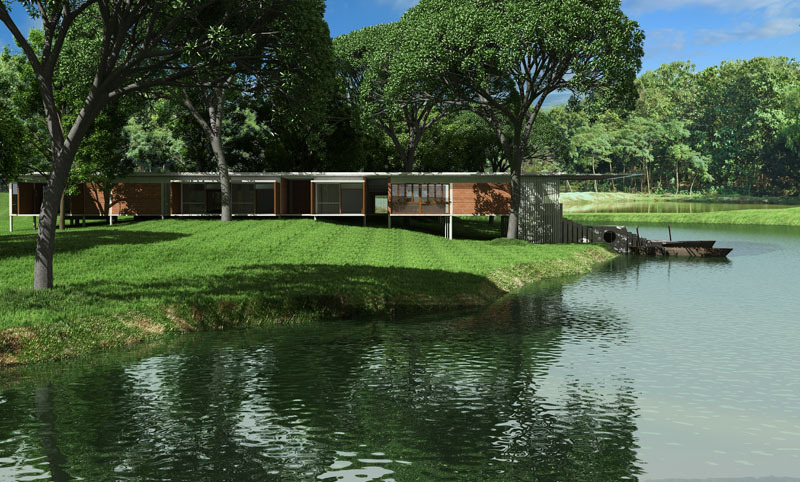 Azam?s green ideology stems from his many local loyalties and social commitment, rather than an expedient adherence to the latest architectural trends. He is always looking for an ethically coherent and natural alternative, geared to address social disconnection and deprivation, notwithstanding the meterage, as with his Khazedewan Apartments in the cramped Noor Fatah Lane of old Dhaka. On the day we visited a charming orange-bearded man, the building?s self-appointed caretaker, and welcoming tenants were all clearly proud of their homes and grateful to their architect. One of Azam?s main objectives is to create living oases; places to ?rest the mind and protect the spirit? from the invasive and often oppressive mayhem of society; to solicit the intervention of an infinitely generous natural world; and to restore harmony, despite the frequently antithetical and dehumanising contexts afforded by contemporary living, which are obviously not exclusive to Dhaka or South Asia. Indeed, in several ways this monograph is a tribute to Rafiq Azam?s own reinterpretation of the ?poetics of space?, a term coined by French philosopher Gaston Bachelard (1884?1962), who urged architects to focus on the ?lived experience of architecture? rather than its abstract or rational components. I found this same intrinsic, palpable, and uplifting resonance while climbing the plinths of the majestic Somapura Mahavihara Buddhist monastery in the northern Naogaon district of Bangladesh. The largest vihara in the Subcontinent and a World Heritage Site, this eighth-century structure still manifests the Sanskrit and Pali notion of ?a secluded place in which to walk?. A place of pilgrimage, it owes its careful proportions to the cosmic order of the mandala, and its four-faced Sarvatobhadra-type shrine forms the centrepiece of the entire complex. Terracotta sculptured plaques all around its circumambulatory path depict the daily lives of countless gods ? with strangely familiar faces ? playing out the drama of human existence. To integrate the pearls of one?s cultural legacy as well as the realities of climatic and economic conditions, actively applying them to contemporary consciousness, is to participate in a living heritage, as opposed to embalming, glorifying or imitating a particular cultural history. Azam?s work is unique in that it strives to attain this elusive ?spiritual? quality, and originates from an urban and environmental context that is surely like no other on earth. His exquisitely simple and personal applications of nature?s own logic and poetry showcase what is creatively liberating and logistically possible outside the usual parameters of mainstream thinking. 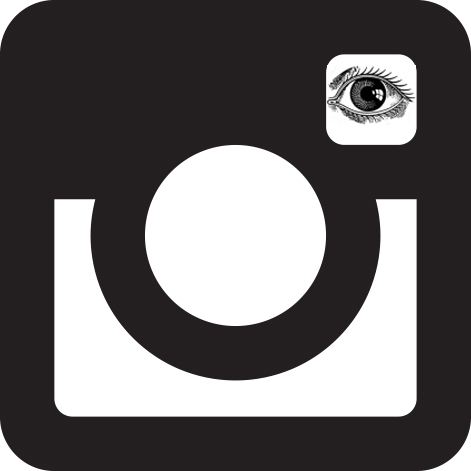 Rosa Maria Falvo?is a writer and curator, specialising in Asian contemporary art and photography. 1 F. L. Wright, An Organic Architecture: The Architecture of Democracy (Cambridge, MA: MIT Press, 1970). Alam?s social activism is driven by a deep commitment to rebalancing geopolitical and cultural perceptions. His coining of the term ?majority world? in 1990 was an attempt to counteract the pejorative notions of a ?third world?, giving talented photographers from non-Western realities an opportunity to recount their own stories. 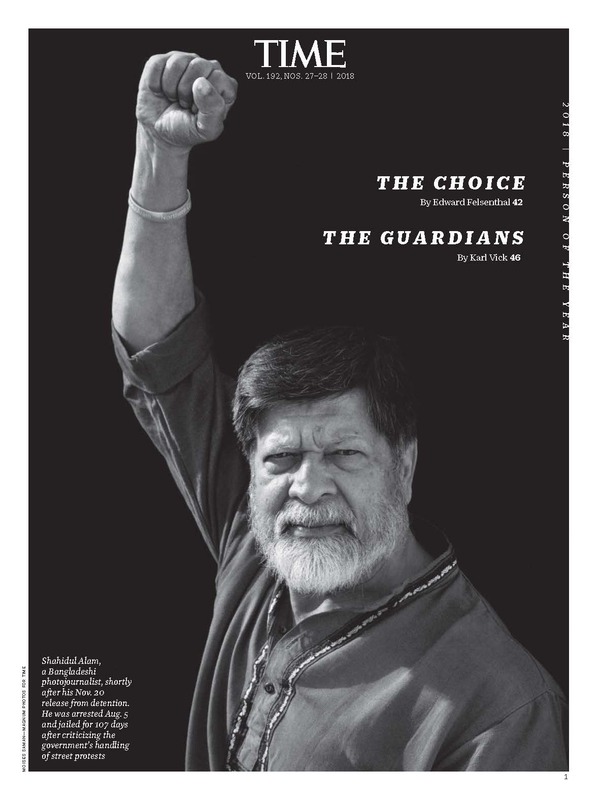 His life?s work is featured in Shahidul Alam: My Journey as a Witness (ed. Rosa Maria Falvo, Milan: Skira-Bengal Foundation, 2011). Rafiq Azam designed Alam?s Drik Picture Gallery in 1993, for which he won an Aga Khan nomination, and is currently designing the Drik/Pathshala Complex at Panthapath in Dhaka.